"In dealing with the staple industries of the Staffordshire Potteries, it is doubtful if any house could be mentioned which is more typical of a successful business establishment, or more notably exemplifies those features which are so essential to an industrial institution of the present day as that of Messrs. T. C. Brown - Westhead, Moore and Co., china, earthenware and sanitary clay goods manufacturers, of Cauldon Place, Stoke-upon-Trent. The business now represented by this world-renowned firm is one of exceptional antiquity. 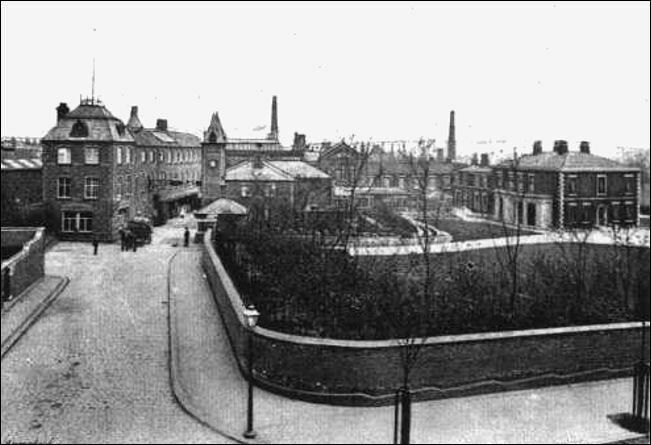 One hundred and twenty years ago what are now known as the Cauldon Works of Messrs. T. C. Brown-West-head, Moore and Co., were founded by that once famous potter, Mr. Job Ridgway. The conditions under which earthenware manufacture was carried on in those days in Great Britain were crude in the extreme. Josiah Wedgwood had not yet established himself as the pioneer of improved methods of pottery manufacture. Thomas Minton had not so much as been heard of. The most ordinary domestic ware in use among the people of this country was drawn from foreign sources, chiefly from Holland; the superior qualities came from Dresden and Sevres, for the most part. Even China clay had not yet been discovered to be procurable in England, Cookeworthy only having "unearthed" that invaluable substance in 1786 at St. Austell, Cornwall. At the death of Job Ridgway the business passed into the hands of his two sons, John and William, and, on the retirement of the latter, the concern was carried on for many years under the sole management of Mr. John Ridgway, to whom the present firm eventually succeeded. With the growth of the century the business of the house developed so that larger premises became a sine qua non. In the year 1856, both Mr. Brown-Westhead and Mr. W. Moore became associated with the firm, and since that time the business of the firm has increased six-fold. 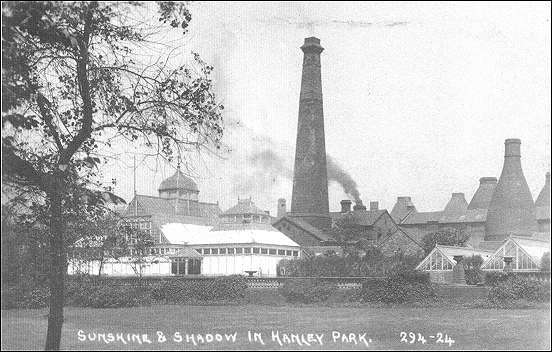 From the very inauguration of the business there has been a determined effort to improve the character of the firm's productions, and at the present day we doubt if there can be found throughout the length and breadth of the Staffordshire Potteries more artistic productions than emanate from the Cauldon Works, Stoke-upon-Trent. 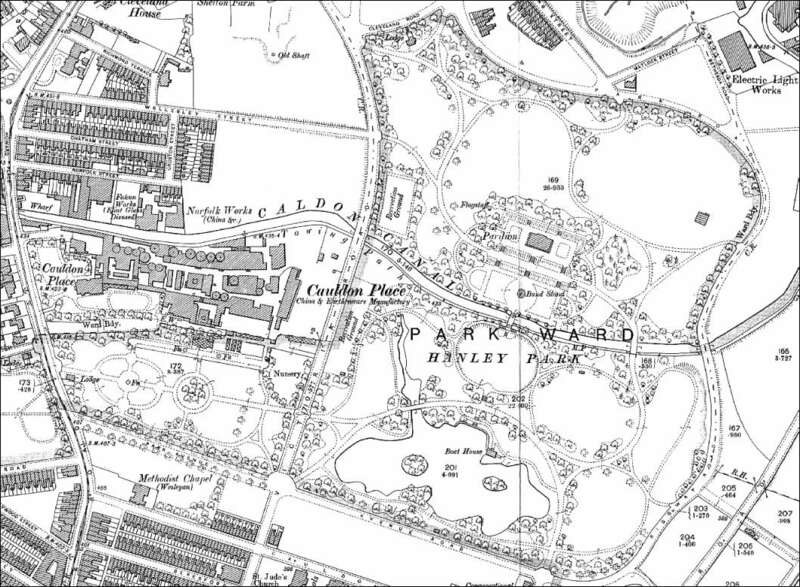 The factory is on the main road from Stoke in the direction of Shelton, the works extending in a rearward direction towards the New Hanley Park. 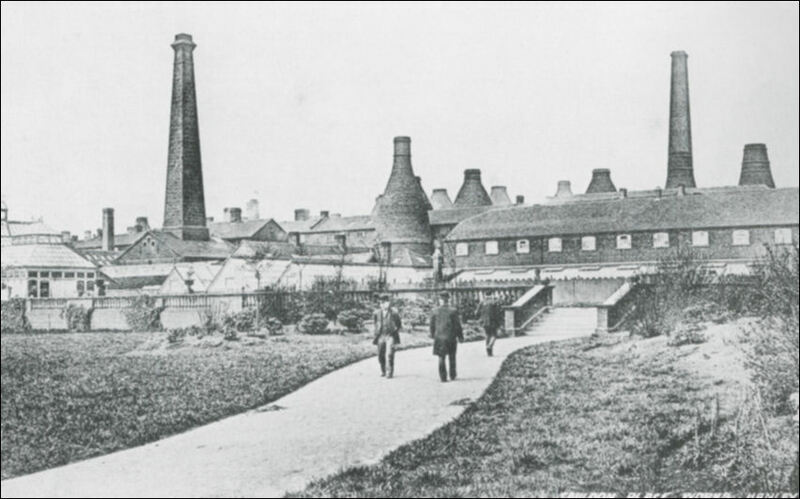 In the vicinity will be found another mill worked by Messrs. T. C. Brown-Westhead, Moore and Co., for grinding and preparing the constituent earths, operations usually made a separate and distinct branch of trade in the Potteries. In addition to the grinding and mixing of the earths this mill is used for the preparation of the gold, and the proper ad-mixture of the colouring ingredients required in the subsequent processes of decoration. For the treatment of the gold a specially-constructed apparatus is required, the particulars of which it is unnecessary to disclose. Much of the raw material used is conveyed by means of the canal which is in immediate proximity to the works, the chief ingredients comprising ball or blue clay, China clay, flints, and (for the best classes of porcelain) ox bones, largely derived from the South American markets. At the principal works a staff numbering about one thousand four hundred hands finds constant employment, a number of workers hardly exceeded, we believe, by any earthenware manufactory in the Potteries. There are no fewer than twenty-two "glost" and "biscuit" ovens in constant operation. The machinery and appliances throughout the works are of unsurpassed excellence, and not a single article-either in the china, earthenware, or sanitary goods department passes out of the works in an inferior or unsatisfactory condition. 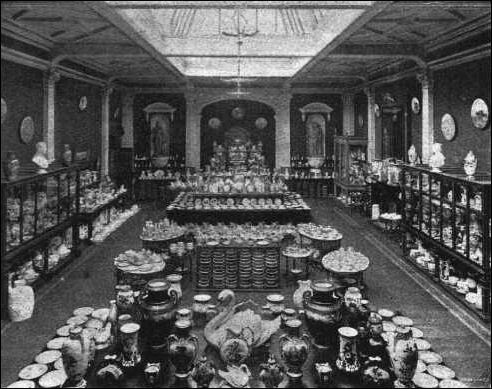 The show rooms situate at the works exemplify very fully the high pitch of artistic as well as industrial perfection at which the firm has ever aimed, and Londoners can have similar opportunities of appreciating exquisite workmanship by paying a visit of inspection to the Metropolitan warehouse and show rooms situate at Fitz-Eylwin House, Holborn Viaduct, E.C. Branch establishments have also been opened at Paris and Hamburg, and a continental trade of great magnitude is carried on. London 1851, Paris 1855, Manchester 1857, London 1862, Lvons 1872, Cologne 1875, Philadelphia 1870, Paris 1878, Sydney 1879, Melbourne, 1880, Adelaide 1881, and the Grand Prix, Paris, 1889. Coming to recent times Messrs. Brown-West-head, Moore and Co.'s exhibit of "Cauldon" china at Chicago is a very important one, the space occupied being 1,200 square feet, irrespective of tables, shelving, etc. This space is crowded with the finest collection of table porcelain ever sent to any exhibition, and far exceeds the same firm's exhibit at Paris in 1889, where they secured the Grand Prix and two medals for collaborators. The third illustration shows one of the chief pieces of this exhibit, "The Shakespearian Centre." It is entirely of porcelain richly decorated, the base is of Ronen green, varied with warmer tints of ivory and gold. At the four corners are figures representing the tragic and the comic muse - history and poetry. These support a vase in eight panels, representing Shakespeare's heroines, painted by Boullemier. Each exquisite and lovely figure stands out from a back ground, unobtrusively and delicately treated. Special mention should be made of the Columbus vase, which reproduces the leading features of M. Brozik's fine picture of Columbus explaining his great projects to Queen Isabella - a magnificent picture splendidly done. The Evangeline plates, a set of twelve desserts, illustrative of Longfellow's sad story of "Evangeline." 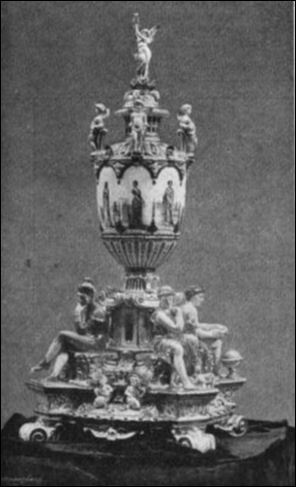 The Bacchus vase, by Mons. E. Sieffert, and scores and hundreds more of the exhibits which claim, at this time, the attention of the visitors to the "Cauldon" Pavilion in the great Exhibition. With such representatives to uphold her supremacy in the industrial arts, England has no cause to fear for or be ashamed of the position she will be allotted among the friendly rivals at the great Transatlantic World’s Fair." 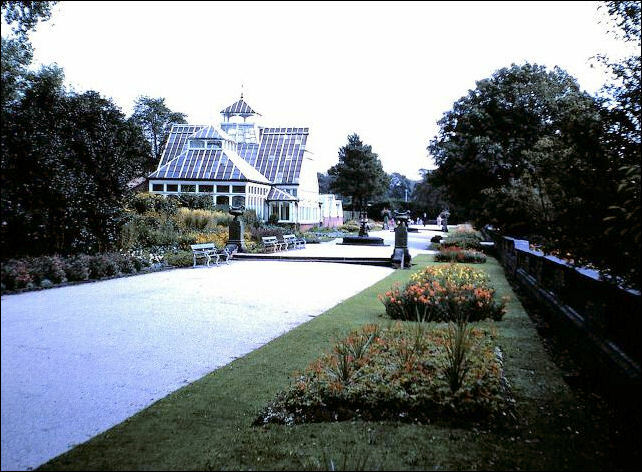 (better known as Flower Park). provide a striking contrast with the park.